If you are looking for a private venue for a car launch or vehicle presentation in Marbella, Malaga, Andalucia, look no further!!! Our resort has a size of 50.000sqm and is designed exclusively for private and corporate events. The resort reseves a large part of the resort to team building activities like treetop adventure, paintball, crazy golf orpetanque, but also feaures a unique off-road circuit that can be used for ATV's like quads and buggies, but also by 4x4 vehicles, making it an ideal location for the presentation of new off-road products like tires and parts, as well as of 4WD vehicles. The venue is located only 35 minutes away from the coast, where beautiful hotels like Puente Romano, Don Carlos, Marbella Club or Villa Padierna would be happy to host you and the journalists/clients/partners attending the event. We're based only 45 minutes from the Malaga airport (AGP), which makes it a unique advantage also should you want us to design speciffic routes inland to reach the resort. Our resort is available for all sorts of cars and vehicles launches and Press presentations. 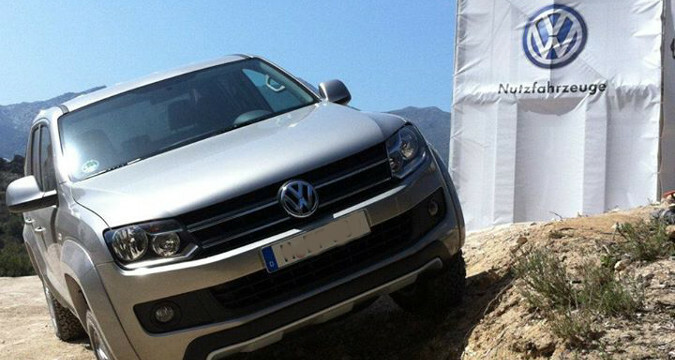 Experience Box has actively worked on the organization of the Volkswagen professional fleet presentation in Andalucia as well as for Michelin/BFGoodrich in 2015, and would therefore be happy to share this expertise with you.